Fujitsu's LifeBook T5010 is a 13.3in tablet-convertible notebook with excellent build quality, good speed and plenty of features. 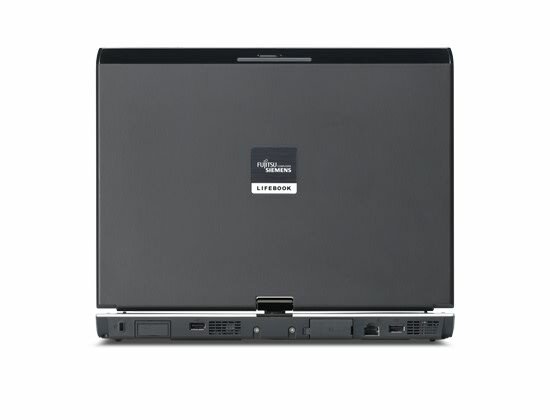 It's powered by an Intel Core 2 Duo T9600 CPU, and has a bright touch screen with Wacom's interface technology built in. If you're on the lookout for a notebook that can be used as a tablet, then the Fujitsu LifeBook T5010 is about as good as it gets. It's fast, very well built and has one of the most responsive and accurate touch screens we've tested. The only downsides are its non-powered USB 2.0 ports and the inclusion of a PC Card slot instead of an ExpressCard/54 slot. The Fujitsu LifeBook T5010 convertible laptop is built for business. Running on the Centrino 2 vPro chipset and packed to the gills with IT-friendly security features, it's designed to be an efficient portable workstation for the mobile professional. 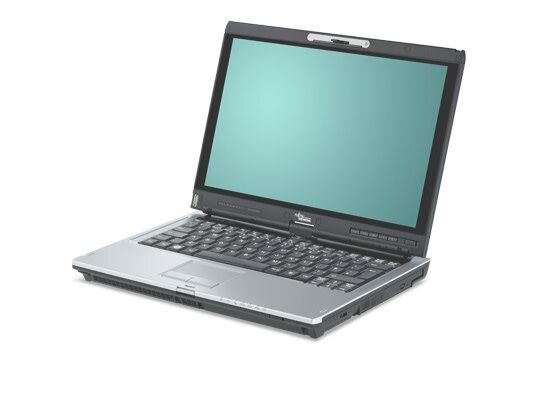 The Fujitsu LifeBook T5010 runs Windows Vista Business Edition on a 2.4GHz P8600 Core 2 Duo CPU. The Fujitsu LifeBook T5010 multitouch tablet-PC hybrid provides security, strength, and efficiency in a ho-hum package. The Fujitsu LifeBook T5010 convertible laptop is built for business. Running on the Centrino 2 vPro chipset and packed to the gills with IT-friendly security features, it's designed to be an efficient portable workstation for the mobile professional. The T5010 multitouch tablet-PC hybrid provides security, strength, and efficiency in a ho-hum package. Convertible tablets are and will remain specialized products that cater to a certain group of people. They have the benefit of having both keyboard and a pen as input devices, with the latter being used in sales, design, and the healthcare industry. It's simply easier to apply a pen to screen while you're on the run and the tablet is resting in your forearm. The Fujitsu LifeBook T5010 (Multitouch) ($1,859 direct) is the hallmark of what a tablet user experience should be. Though pricey ($1,800), the Fujitsu LifeBook T5010 is a convertible tablet that gives you three vital tools for data input: a keyboard, a digital pen, and now, multi-touch. Overall, the Fujitsu LifeBook T5010 is an adequate notebook and an excellent tablet, all rolled up into one expensive package. The Intel Core 2 Duo P8600, 2GB DDR3 RAM and 160GB HDD will serve well for everyday tasks and, despite the integrated GPU, probably some casual gaming as well. In tablet mode, the Wacom stylus is responsive and there are enough tablet-friendly features to make its use convenient. The overall size and weight strike a balance between portability and productivity, with a 13.3” display and a weight of 4.5-4.9lbs. Unfortunately, the battery life is nothing exceptional and the price is fairly high, but in return you are getting a tablet that can comfortably be your regular laptop as well. 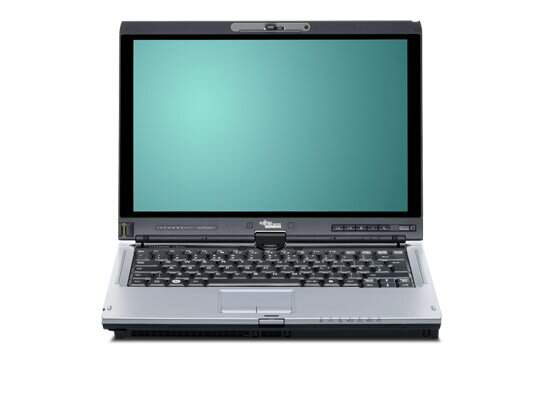 Fujitsu Siemens' LifeBook T5010 comes from the same stable as the T1010. 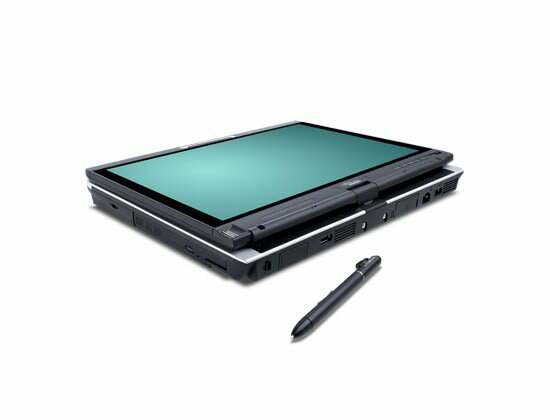 Like the T1010, it's a relatively large and heavy 13.3-inch convertible tablet PC. Differences include an active touchscreen rather than the T1010's passive unit, a solid-state hard-drive option and a wider range of processors. The T5010 is available for around £1,700 online. The Fujitsu Siemens LifeBook T5010 is a well-made convertible tablet PC with a sturdy casing and a comfortable keyboard. It's rather heavy for extended use in tablet mode, but benefits from a 13.3-inch screen and decent performance. The Fujitsu LifeBook T5010 offers speed, strong Wi-Fi performance, and a good tablet and pen experience. Its $2,079 price has us wishing it had a sleeker design and touchscreen capabilities, like what you’ll find on the 12.1-inch Lenovo ThinkPad X200 Tablet. However, if you like the idea of owning a tablet with an optical drive and want a larger display, the T5010 is a good investment. Only a handful of convertible tablets are worthy of being called complete. Tablet makers typically make sacrifices to manage the weight, like ditching the optical drive, opting for a smaller screen, or including a low-powered processor. In doing so, manufacturers tend to hamper an important part of the convertible—the laptop part. Fujitsu LifeBook T5010 is still one of the few convertible tablets to integrate an optical drive and standard voltage parts. 72.13%: This rating is bad. Most notebooks are better rated. This is not a recommendation for purchase.